The snow and ice are gone (for now, anyway) and spring has been in the air all week. Many of my pictures show plants in bud, but they are the hopeful ones, the ones calling my name this month. But first, some honest-to-goodness blooms. 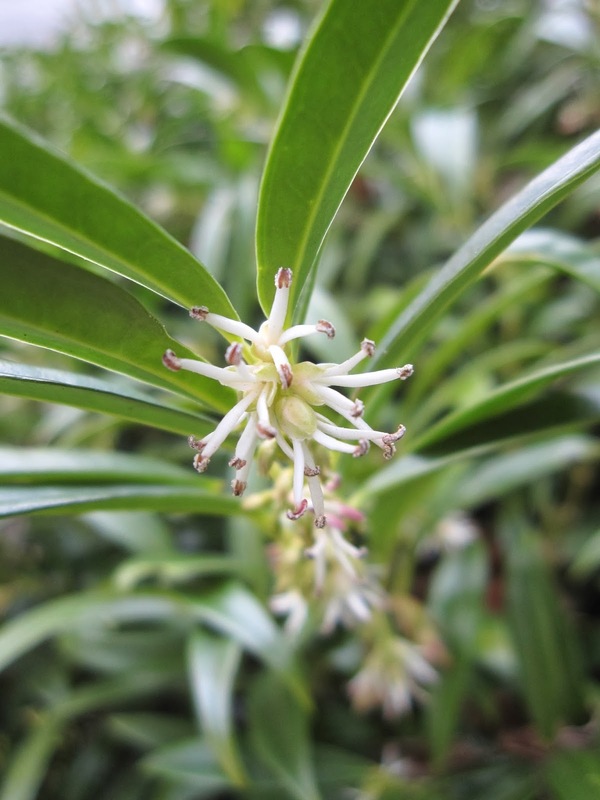 This is Daphne odora 'Marginata', and just a few of its fragrant blossoms are open. There are lots more to come! The weather seems to have taken its toll on Arctostaphylos 'Austin Griffiths' flowers. I think I'd be feeling a little fatigué too, if I'd been out in last week's snow and ice. Sarcoccoca hookeriana var. humilis. 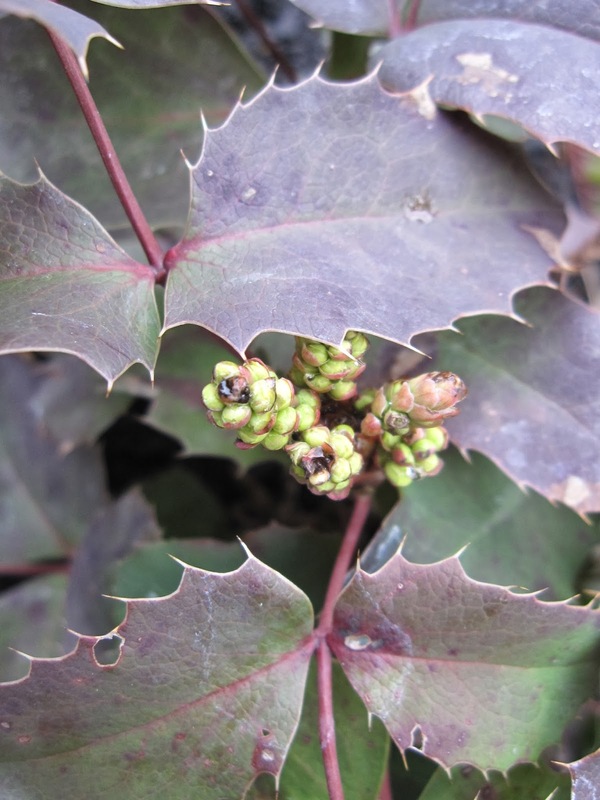 Its late winter flowers are petite, but pungent. Despite being covered with 6 inches of snow and ice a week ago, Vinca minor 'Bowles Mauve' is putting out a few blossoms. 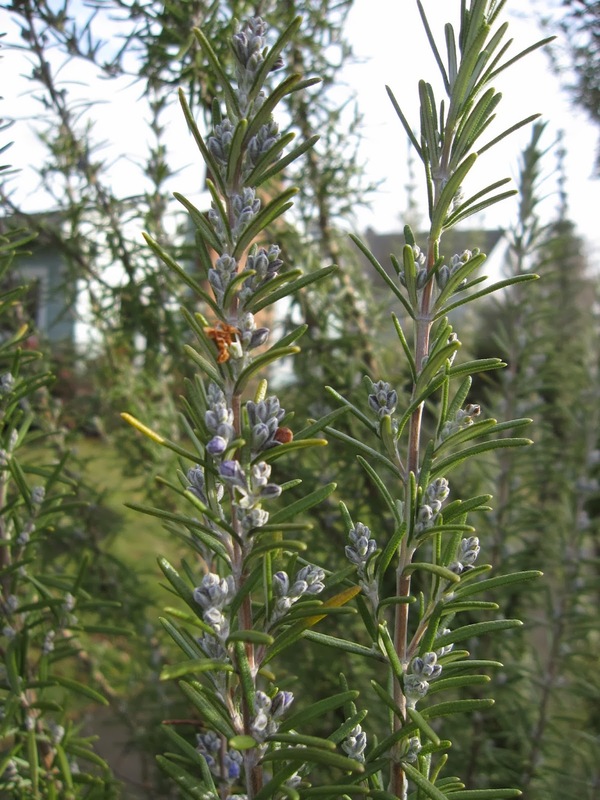 If this warmer weather holds, we'll be seeing Rosemary blooms in a week. It will be significantly longer for Cornus 'Eddies White Wonder', but I love to anticipate its creamy white blooms. Maybe in April? 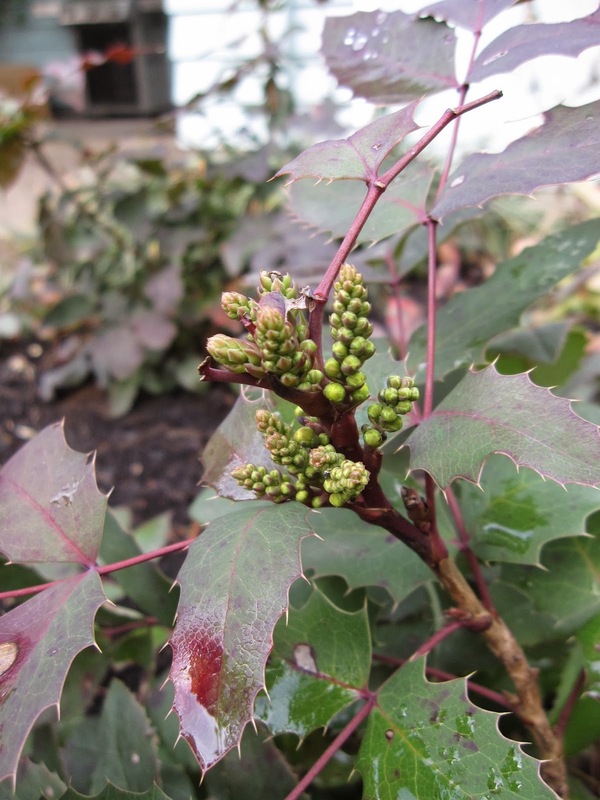 Mahonia repens is the only Mahonia in my garden showing any signs of blooming. These will be our first flowers since these young plants just went into the garden last spring. The fat buds of Camellia 'April Kiss'. I hope to show you these flowers in March. And to finish, an indoor orange to blow all the soft outdoor pinks and maroons out of the water; Clivia 'Belgian Hybrid Orange' has sent up another intense flower stalk. Wow! Carol, at May Dreams Gardens, graciously hosts Bloom Day on the 15th of each month. See what's blooming there, in other states and even other countries, by clicking over for a visit. 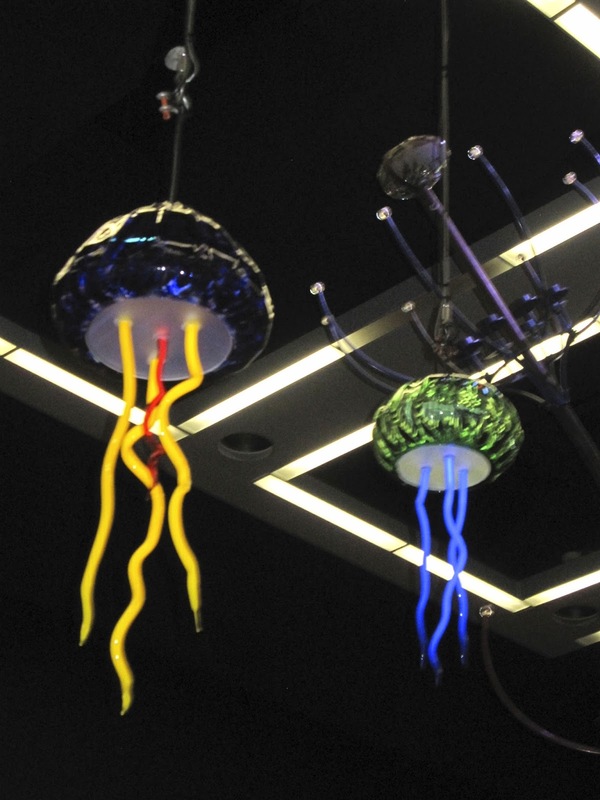 Like many regional gardeners, I wouldn't miss the NWFGS in Seattle. I arrived early Thursday for the Tweetup and spent the rest of the day enjoying all the delights the show has to offer. 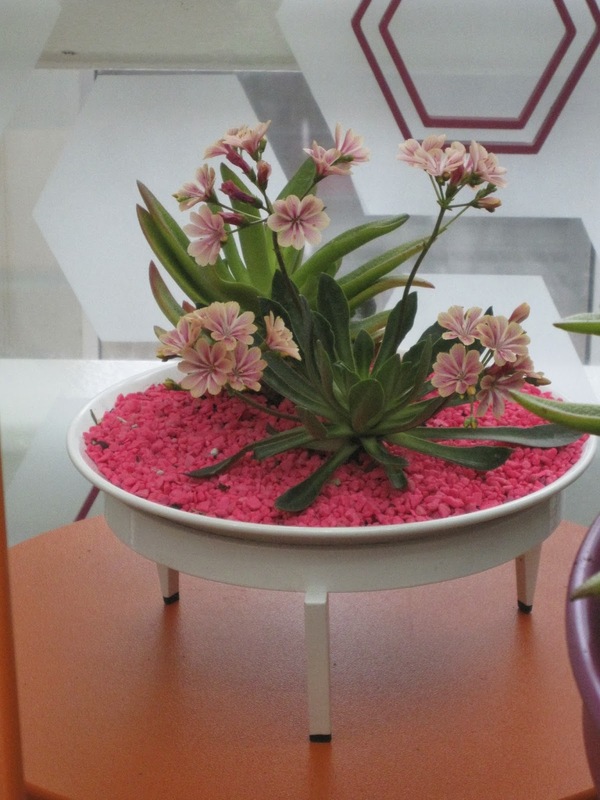 Non-plant themes always emerge from the show display gardens, like this year's focus on glass in multiple gardens. If 2013 was the year of Melianthus major, this year Sarracenia was the "it" plant of the show. I liked the way the glass echoed the pitcher plants' shapes. Grouped with Sarracenia or used in other combinations, ferns also figured prominently this year. Some of those same ferns were for sale in the Plant Marketplace. I loved the massive rusted metal gate and screen used in one of the display gardens. And there's more of that glass. The Small Space Showcases always delight. The modern spaces particularly appeal to me, like this hot combo employing brightly-colored seating and metal planters filled with cooling silver and green plants. 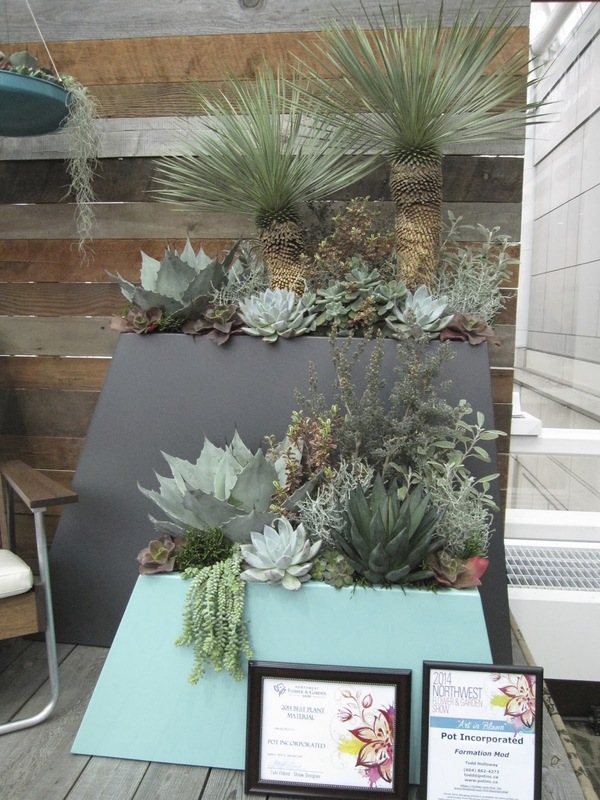 Another grouping with the perfect modern mix of color, style and plants. One small space held a shining wealth of silver and white containers and plants. I've read a lot from Seattle bloggers about Bark and Garden nursery, so I was happy to see them represented. 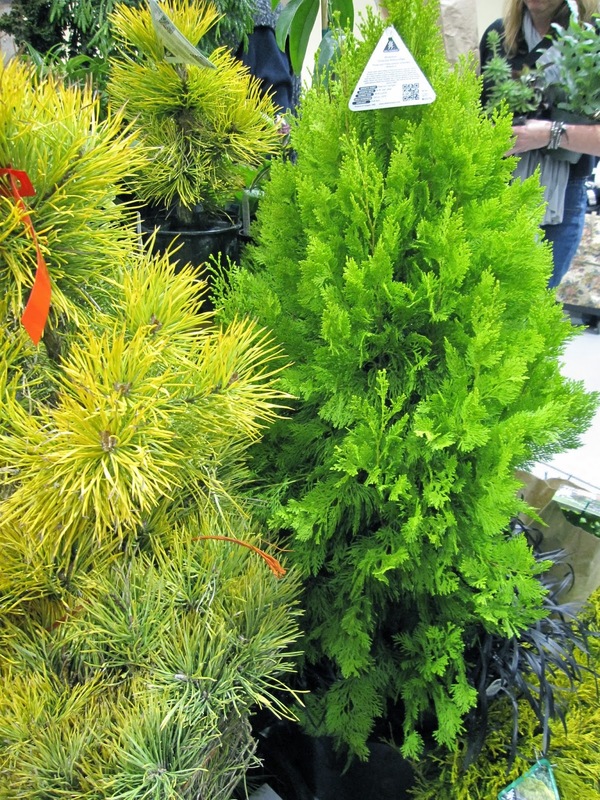 Their sales area in the Plant Marketplace was a beautiful living tapestry of conifers and evergreens. If I hadn't been on the train, several of these beauties would have come home with me, like this Iseli introduction, Thuya plicata 'Whipcord'. But I was on the train, which turned out to be a good thing for getting home to snowy Portland on Saturday. As I cleared the snow and ice out of my driveway, that delightful first taste of spring at the Northwest Flower and Garden Show helped carry me through the task. I just pretended to be shoveling mulch instead.